Enjoy this wonderful counting song with your young children. 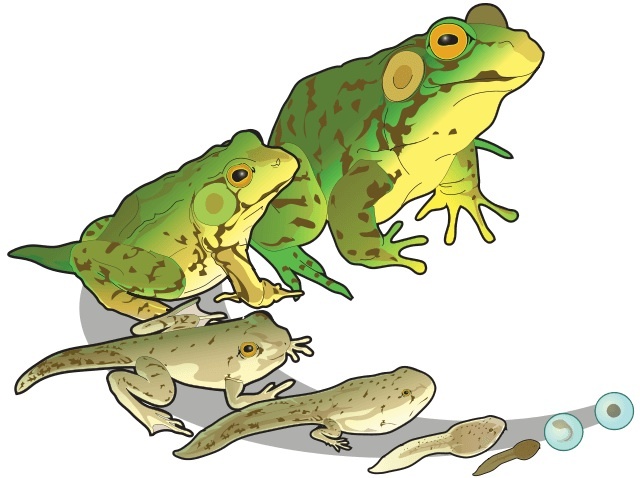 Repeat the verse, taking away a frog each time, and showing that number with your fingers each time, until there are no green speckled frogs (and no fingers left). Featured in our collection of Children's Poems and Pre-K Wordplay. Your child might also enjoy counting their "piggies" (toes). Count-up and count-down. Here's the story of Five Little Pigs. Explore more Pre-K Wordplay! Add Five Little Speckled Frogs to your own personal library.